Shavua tov! 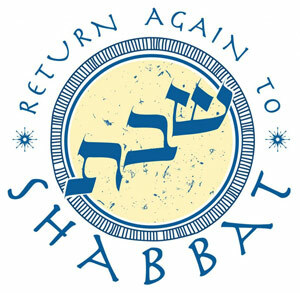 Looking forward to Shabbat Vayeshev – including Kabbalat Shabbat! And here’s the URJ’s compilation of commentaries on this week’s Torah portion: Vayeshev. Shavua tov! Looking forward to Shabbat Vayishlach. This coming Shabbat morning, services will be led by Rabbi Pam Wax and we’ll read from parashat Vayishlach. We’ll also celebrate our member Marc Jaffe as he is called to the Torah as a bar mitzvah, honoring his lifetime as a son of the commandments. And here’s the URJ’s compilation of commentaries on this week’s Torah portion: Vayishlach. CBI Joins the ALEPH Network! The Reform Movement understands that modern Jewish life is changing – becoming more porous, innovative and experimental. In the 21st century, Jewish denominational lines and boundaries are becoming less important than they were a generation ago. Across the board, Jewish life today is increasingly trans-denominational, creative, and focused on re-forming and renewing Judaism to meet the needs of today and tomorrow. That’s where my other role, as co-chair of ALEPH: Alliance for Jewish Renewal, comes into play. Jewish Renewal is a trans-denominational movement to revitalize Judaism, and is the context within which I was ordained a rabbi. My two spiritual homes, Congregation Beth Israel and Jewish Renewal, have long been connected by virtue of my service in both places. Now our connection has become more concrete. I could not be more delighted to be sharing with you the news that our community is now part of a new collaborative initiative called the ALEPH Network. The ALEPH Network is an alliance of organizations, individuals, shuls, and more at the vibrant cutting edge of Judaism. The ALEPH Network is not a denomination. It’s a sign that the person or institution to which it is attached is doing innovative, heart-centered, spiritual, meaningful work. It can be congruent with denominationally-affiliated congregational life (as in our case — we remain a proud affiliate of the Union for Reform Judaism) and also with organizations, institutions, and individuals who are independent or post-denominational. Being part of the ALEPH Network connects us with other creative, innovative, and thoughtful people, organizations, and communities around the world. We will reap the benefits of that connection in a variety of ways, among them sharing ideas and materials and engaging in joint programming. There are also other perks of joining the ALEPH Network. In 5776 our leadership will be invited to join a brand-new online space for ALEPH Network members. We’ll have the opportunity to promote our events and happenings to other Network members. We’ll also receive the benefit of early registration for ALEPH telecourses and for the ALEPH Kallah. I look forward to sharing more about these things, and other benefits of Network membership, in coming months. Joining the ALEPH Network is a way of expressing gratitude for the many benefits of involvement with ALEPH which we’ve been receiving for years, among them the service of ALEPH-trained clergy and student clergy, use of Jewish Renewal liturgical materials and melodies, the availability of Jewish Renewal spiritual technologies such as hashpa’ah (spiritual direction) which I offer to members of our community, and more. Until now, there was no fiscal way for us to thank ALEPH for Jewish Renewal’s melodies, materials, and spiritual modalities. Now there is, and I am delighted that we are taking part. And finally — joining the ALEPH Network is a small way of “giving back,” financially, to the organization which ordained me and made it possible for me to serve as your rabbi. I know that the other ALEPH-trained folks who serve here (among them student Hazzan Randall Miller, Rabbi Lori Shaller, and Maggid David Arfa) join me in delight and gratitude that CBI has become part of the ALEPH Network. I look forward to continuing to share with y’all the countless spiritual gifts I have received from being part of Jewish Renewal. Edited to add: As of autumn 5778 / 2017, we are no longer part of the ALEPH Network, but we remain part of Jewish Renewal, and Jewish Renewal remains part of us. For more on what Jewish Renewal means to us, here’s a link: Renewing Judaism. This coming Shabbat morning, services will be led by Rabbi Rachel and we’ll read from parashat Vayetzei. We’ll also celebrate our new and prospective members at our annual New And Prospective Member Brunch; please RSVP to the office if you haven’t already! And here’s the URJ’s compilation of commentaries on this week’s Torah portion: Vayetzei | URJ. 2014: If this is so, then why am I? And here’s the URJ’s compilation of commentaries on this week’s Torah portion: Toldot | URJ. This weekend, which will be the first Friday of November, we’ll hold a First Friday Kabbalat Shabbat service. Here are two of the melodies you’ll hear this Friday evening. Both come from Nava Tehila, the Jewish Renewal community in Jerusalem.